Car Accidents | Eduardo De La Cruz-Munoz P.A. At the Law Office of Eduardo de la Cruz Muñoz, P.A., we understand the emotional and physical hardships that may develop following a car accident. When extensive injuries, property damage, or even death occur due to an accident, you and your loved ones deserve to be compensated for your losses. Due to state regulations in place in Florida that complicate insurance claims, it may be difficult to obtain compensation for your pain and suffering without the help of an attorney. We are dedicated to working tirelessly on your behalf, gathering, analyzing, and presenting evidence to ensure you receive the compensation you deserve. In the state of Florida, there are special regulations in place aimed at reducing the amount of crash-related lawsuits. Thus, drivers in Florida are required to maintain at least $10,000 in Personal Injury Protection insurance that will cover up to 80% of their medical expenses and up to 60% of their lost wages in the event of an accident. However, this coverage is often not enough to pay for all the medical bills and lost wages that may follow an accident, nor does it account for pain, suffering, or property damage. 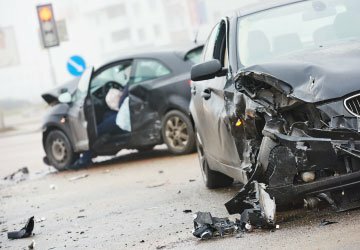 If you or your loved one have suffered any of the above injuries following a car accident, you may be eligible to pursue additional legal action to compensate for your losses. We at the Law Office of Eduardo de la Cruz-Muñoz will thoroughly review your case and help you prepare your claim to ensure you receive full compensation for your injuries. In some cases, car accidents may be caused by a vehicle defect, such as faulty design, labeling, and manufacturing practices. If this occurs, you may be eligible to file a claim against the vehicle manufacturer or the manufacturer of the vehicle's faulty parts. In order to win a manufacturer liability lawsuit, expert testimony and analysis are required to prove that the manufacturer is responsible. If you have lost a loved one in a car crash, you may be entitled to financial and punitive damage through a wrongful death lawsuit. To win this type of lawsuit, you need a competent, dedicated attorney to prove that another person's negligence caused the death of your loved one. A large part of winning a lawsuit or successfully negotiating a fair settlement is properly documenting injuries, property damages, and other accident-related losses and putting a dollar value to said losses. Unfortunately, Florida legislation does not provide a level playing field for accident victims. Level the playing field by hiring one of Miami's most dedicated attorneys, who will work as hard as possible to maximize your monetary recovery and obtain full compensation for all losses associated with your car accident.